Facebook offers a wonderful way to “boost” or “promote” your content by paying a bit extra money (as low as $5). This is separate from Facebook ads, which requires a higher level of online marketing expertise to generate success. Facebook has made it quite easy to set-up a boosted ad post which creates an attractive option to those not as skilled in online advertising to try out. I see a lot of small and medium sized business utilizing this tool lately, yet only about 1/3 of them are doing it correctly. What is a “Post Boost”? When your company page writes a status, shares a picture or uploads a video you are given the option to “boost” that post. See below for a visual on where the option is. Boosted posts will appear higher up on the newsfeed (note: not in the right ad column) to increase viewership. Why you should Boost a Post? 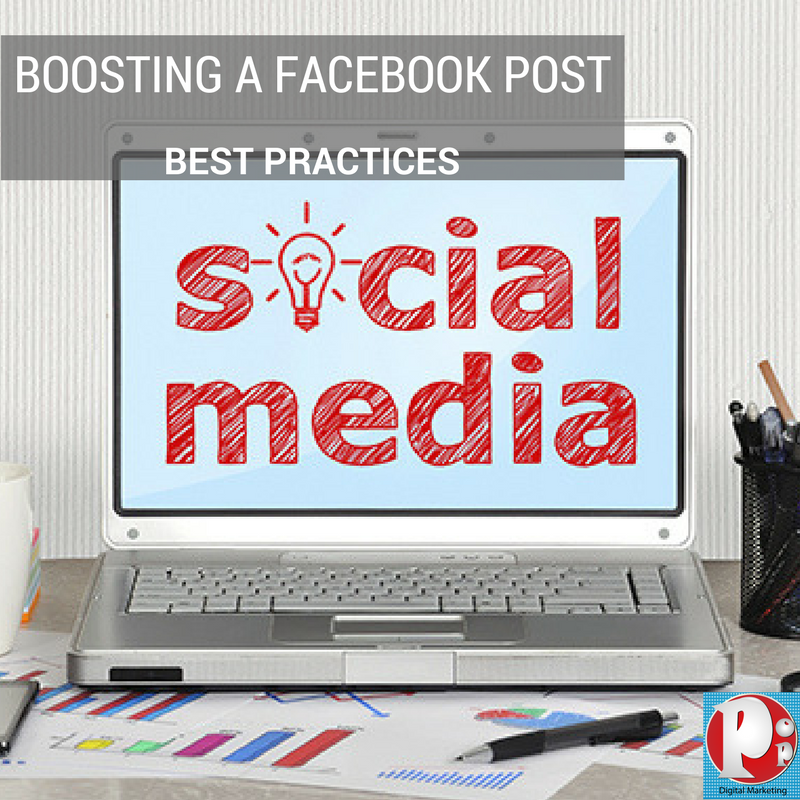 By promoting or boosting a post, you are reaching more people. If you choose to have the post boosted, you can check a box to have it show up to people who like your page and their friends, or you can target it to anyone on facebook. You can target people based on location, age, gender and interests. This will guarantee your post is seen by those who find your business relevant. What type of posts should be “Boosted” or “Promoted”? First, it’s important to track your facebook insights to learn which content engages your fans. Those types of posts will perform the best as a promoted/boosted post. Second, you have to strategically plan the desired goals and outcomes of this campaign. Are you trying to generate more likes on your page? Bring about greater brand awareness? Highlight a service or event? Generate traffic to your website? Knowing this in advance will ensure a higher return on the investment. Make sure that the post you are paying to run has timely information. For example, do not boost a post that states a date in it: “It’s Wednesday, and we are giving away 5 free….”. By putting a date on it, anytime it runs after that day, people will ignore it. Boost a post that generates “likes” and engagement. Don’t boost a post that requires no action from the viewer. Make sure there is a question to be answered, a page to be taken to with valuable information, or a hot topic to “like” or even disagree with. The more action (clicks, likes, shares) the post gets- the higher up it will go with Facebook EdgeRank.